I really can turn any sidewalk into my own personal runway and this dress from Eloquii only made me want to do that even more…When I saw this dress, I knew I had to have it! The color alone was screaming my name and since I am always on the hunt for new dresses to wear to my events there was no question I was taking this home with me. 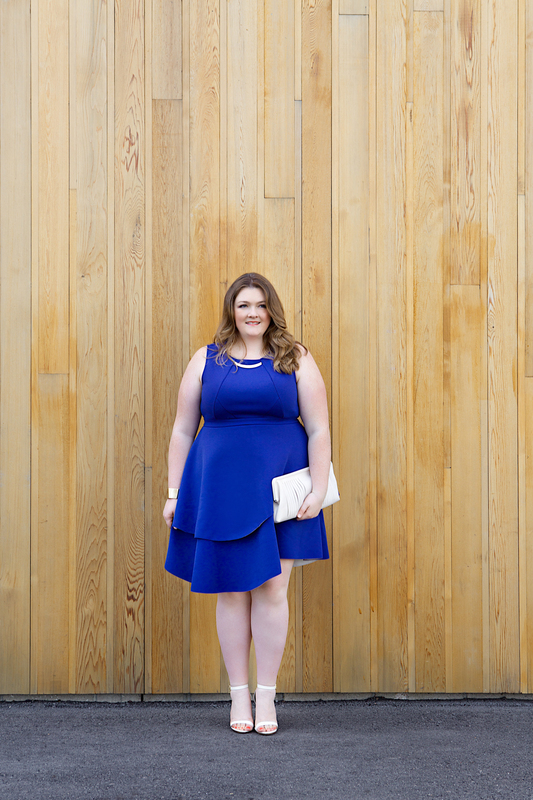 Shoes – Banana Republic, Clutch – BCBG, Dress – Eloquii, Jewelry – Rebecca Minkoff, Photo – Nichole Alex. What a beautiful color! It highlights the red in your hair perfectly. Thank you!! It’s such a fun dress! Love this dress and that color! Omg..I’m in love with this look! You lol gorgeous! You look beautiful, love that color blue!